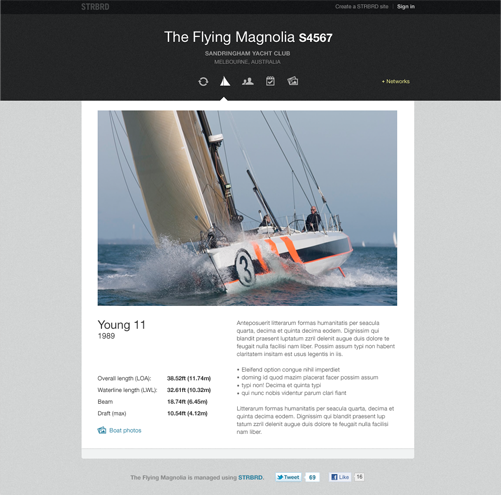 Yacht owners racing socially or seriously, can use STRBRD to manage their crew, events and races, record results and upload images and video. 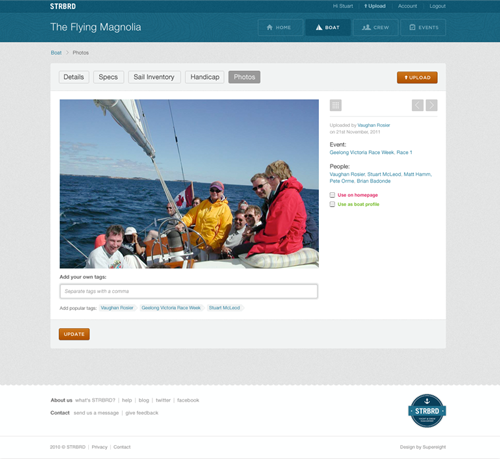 Crews can share their activity with rest of the sailing community through their own boat URL and homepage. 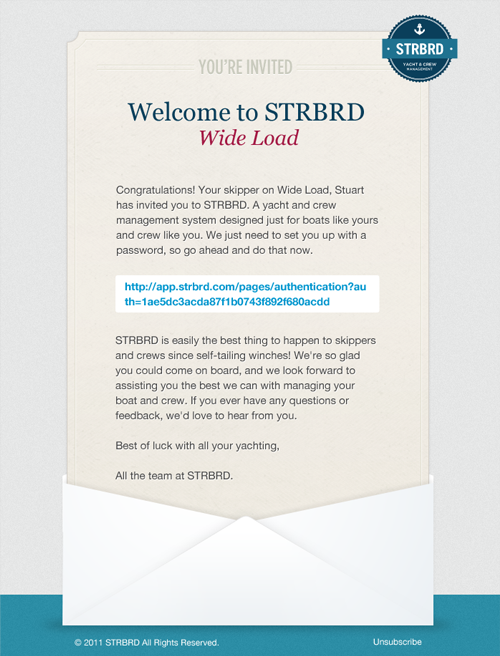 The STRBRD team are keen sailors and were unable to find a crew management app that integrated ‘standard’ social media functionality so decided to build their own. 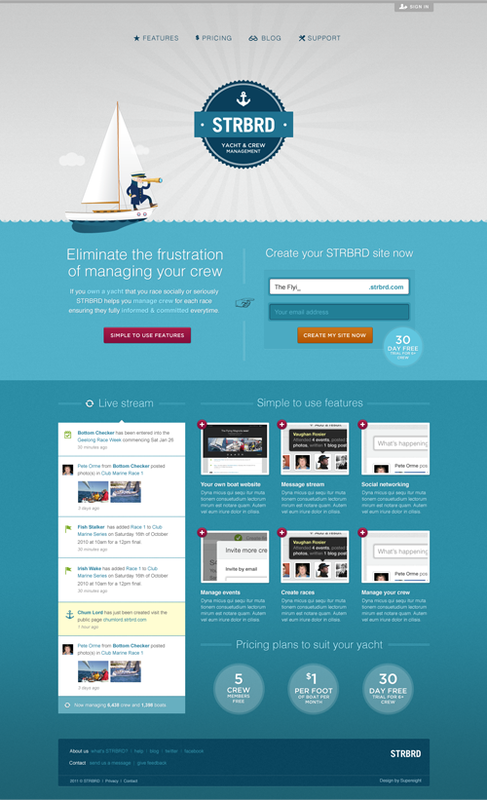 They approached us through Dribbble after seeing our previous work. We developed a relaxed, nautical themed logo mark that is easy to use as a simple badge or stamp. 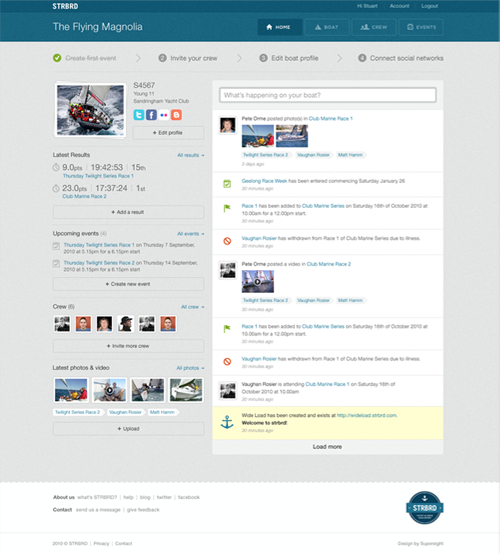 We worked through the UX and UI design for the desktop and mobile versions of the crew management app and designed the supporting marketing website. 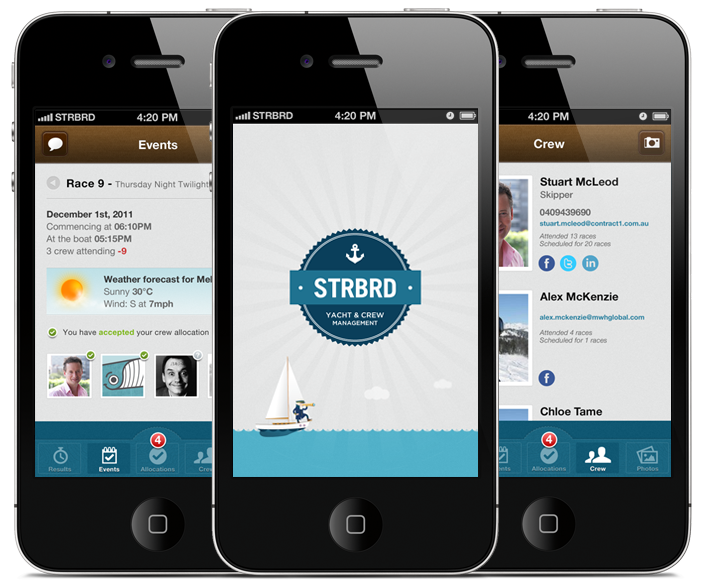 STRBRD are based in Melbourne, Australia and one of our more distant clients. They’re a small team and it’s great to check in with them remotely to talk through new ideas. Pete and Matt were fantastic to work with. Their response to the brief was absolutely spot-on. Would highly recommend Supereight to everyone.